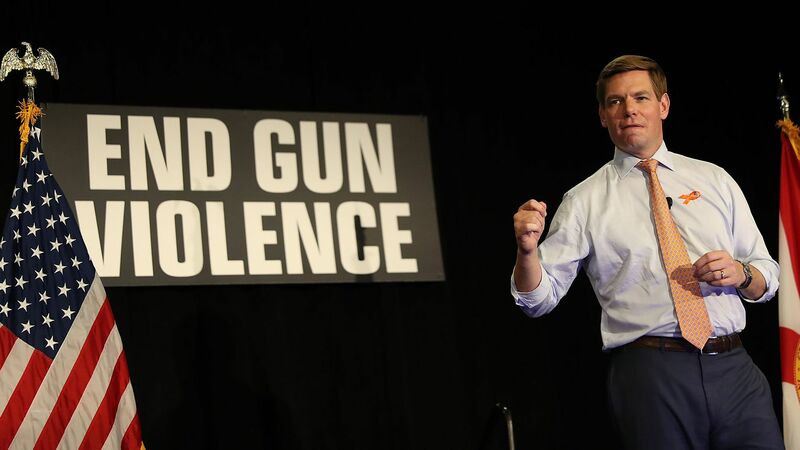 Rep. Eric Swalwell (D-Calif.) vowed at a town hall near the Parkland school massacre site in Florida Tuesday he would make curbing gun violence his 2020 campaign priority, the Sun-Sentinel reports. What he's saying: Standing beside Parkland activists Cameron Kasky, 18, and Fred Guttenberg, whose daughter died in the 2018 shooting, he said he'd discuss issues including education and climate change during his campaign. "But my pledge to you tonight is that this issue comes first," he said. Details: Swalwell praised activists borne out of the Marjory Stoneman Douglas high school massacre for inspiring lawmakers as well as the whole nation, according to the Guardian. "Hope died in Parkland over a year ago," Swalwell said. "But in a uniquely American way, through the strength and courage of our children, hope was born here, too." The big picture: Swalwell proposes to implement a federal ban and buyback of military-style assault weapons — similar to New Zealand's action following the March 15 Christchurch mosque attacks.